In this article, I’m going to teach you how to use GABA for opiate withdrawal. Many years ago, I was going through Suboxone withdrawal and didn’t know very much about supplements for withdrawal. I did a quick Google search and saw that GABA and melatonin could possibly help with anxiety and insomnia, so I walked a few blocks to the local supplement store and bought both of these natural withdrawal remedies. I didn’t feel much when I used the recommended dosage of GABA that was on the back of the bottle. However, when I took 4x the recommended dosage I experienced a noticeable relief of both anxiety and insomnia. Before I teach you how to use GABA for opiate withdrawal symptoms, let’s briefly cover the GABA basics and science behind the supplement. Gamma-aminobutyric acid (GABA) is an inhibitory neurotransmitter that humans create naturally. GABA acts as a “mental relaxant” and lowers the activity of neurons in the brain and central nervous system (CNS). Due to things like poor nutrition, stress, substance abuse, genetic predispositions, and toxins in the environment, a person can have low GABA levels. Many people have used GABA supplements to try and offset this GABA deficiency. There is some debate in the scientific community as to whether or not GABA supplements are effective. The opponents of GABA supplementation believe that GABA products don’t pass the blood-brain-barrier. For GABA supplements to be effective they need to go from the bloodstream to the CNS, and many people are of the opinion that supplemental GABA simply doesn’t make it past the blood-brain-barrier. Additionally, there isn’t a lot of compelling research on GABA supplements. In my own experience, when I took 100 mg to 500 mg of GABA I didn’t feel much… if anything at all. However, when I took 1,000 mg to 2,000 mg, I definitely got a relief of anxiety and insomnia while going through Suboxone withdrawal. My guess is that for some people, GABA supplements work well, for others they work a little, and for others still, they get no benefits. And I think the recommended dosages on GABA supplements can often be doubled, tripled, or quadrupled without side effects. While GABA research is limited, there are some studies that we can learn from. In a small study from 2006 with 13 participants, GABA was shown to be helpful at relieving stress and anxiety. In a small study from 2018 with only 40 participants, the ones who took 300 mg of GABA 60 minutes before going to bed fell asleep faster than those taking a placebo. They also reported improved sleep quality four weeks after starting treatment. In a study from 2009 involving 80 participants, GABA-rich Chlorella was shown to reduce high blood pressure. During opiate withdrawal your blood pressure skyrockets, leading to acute anxiety and insomnia, among other symptoms. So anything that can help to stabilize your blood pressure could potentially be very helpful. For instance, clonidine is a blood pressure medication that is often prescribed to treat opiate withdrawal symptoms, and it works extremely well if you take the right dosage for your unique situation. You’ve probably heard of benzodiazepine medications such as Valium and Xanax. These anti-anxiety drugs are beneficial for acute opiate withdrawal because they bind to your GABA-A receptors. And benzodiazepines aren’t the only class of drugs that affect GABA in the brain. These are much more powerful than taking a GABA supplement. And they all posess the ability to work extremely well for opiate withdrawal. However, they also have the ability to cause addiction and dependence. And if you become dependent on these and stop using them abruptly (cold-turkey), you’ll go through acute withdrawal symptoms that can often be as bad as — or even worse than — acute opiate withdrawal. That being said, if you use them strategically for 4-7 days during the worst part of your withdrawal then stop, you won’t become dependent and you won’t suffer from withdrawal symptoms coming off of them. Now that you’ve learned about the basics on GABA, you may want to use a GABA supplement for opiate withdrawal. It sure helped me out…and it very well might help you too. Always consult with your healthcare provider before using any new supplements. Make sure you educate yourself on the potential GABA side effects and interactions before using this supplement. GABA needs to be taken on an empty stomach to be effective (taking it with meals, especially meals containing protein, competes for absorption of other amino acids). 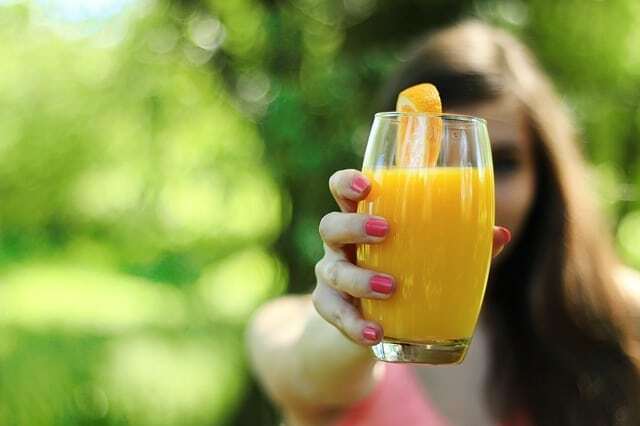 Take your first dose first thing in the morning at least 45 minutes before breakfast. (Try 300-500 mg and if it’s not enough, take 750-2,000 mg). Take your second dose at least 3 hours after breakfast. You can take a third dose 3 hours after lunch if needed. I recommend using GABA with additional opiate withdrawal supplements such as CBD Oil to get the most symptoms relief during withdrawal. Many people intentionally consume foods and beverages that contain GABA or that boost GABA production in the body. Being prone to anxiety myself, I make sure to do this on a regular basis. I really enjoy drinking green, oolong, and black tea, which all contain GABA. I also increase my GABA levels by consuming the following foods: Shrimp, halibut (and other types of fish), berries, tomatoes, fava, lentil, and other types of beans, potatoes, spinach, broccoli, sunflower seeds, walnuts, and almonds. 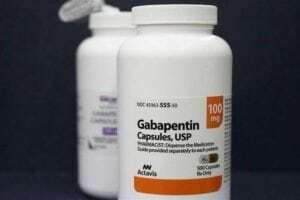 If you take L-Tryptophan or 5-HTP along with a GABA supplement it is reported to allow entry of GABA into the brain more easily. Serotonin increases the permeability of the blood-brain-barrier which causes other nutrients to flow more freely into the CNS. A guaranteed method to get powerful and consistent GABA benefits is to use phenibut. Phenibut is a prescription medication in some countries, though it’s unregulated in the US and sold online as a nootropic. Russian scientists invented phenibut by adding a phenyl ring to GABA, and this allows the GABA to get into CNS circulation where it binds to GABA-B receptors and thus creates a relaxing effect. GABA-B subtype receptors are the same subtype that alcohol binds to. However, unlike alcohol, phenibut is able to alleviate anxiety without sedating you. In fact, studies have shown that it actually enhances cognition. Phenibut has worked extremely well for me whenever I’ve used it for anxiety, and it has helped countless individuals reduce opiate withdrawal symptoms. However, phenibut can be habit-forming and people develop a dependence very fast if they take it daily, so caution is recommended. Along with nutrition and supplementation, there are even more ways to boost GABA in the brain. My favorites that I use on a regular basis are qigong, meditation, and weight-training. GABA supplementation and eating foods high in GABA or that help produce GABA can help to relieve anxiety, insomnia, depression, muscle soreness, and other symptoms of withdrawal. The most powerful way to use GABA for opiate withdrawal is to combine it with other opiate withdrawal supplements such as CBD Oil. GABA supplements can also help with the post-acute withdrawal symptoms that linger on for weeks to months after the acute withdrawal ends. GABA can also assist with relapse prevention as many people go back on opioids to self-medicate underlying mental disorders such as anxiety and depression. If you have any comments or questions on the use of GABA for opiate withdrawal, please post them in the comment box below.